A very popular feature found on many new Toyotas is the backup camera but is it worth the extra expense to have this feature added to your new car? At first thought, it may seem more like a luxury than a necessity. After all, drivers have been backing up without them for years. So are they really worth the added costs? It can be difficult to see behind the vehicle when backing up, especially if you’re driving a minivan or SUV. Having a rear-facing camera allows you to see what’s behind you. As a result, they can help reduce the number of backup accidents that occur each year and that makes them worth the extra cost to have one added to your new Toyota. Backup cameras are more than just a luxury item designed to make driving easier. They are a safety device that can save lives. Have you every backed over your kid’s bike or some other toy lying in your driveway? It’s easy to do especially when you’re rushing off to work in the morning and it’s still dark outside but that’s a minor thing compared to accidents involving people. Thousands of injuries occur each year as a direct result of someone backing up. Some of these accidents are fatal and many of the fatalities involve young children and the elderly. Many of these accidents occur in parking lots where someone is walking behind the vehicle and the driver does not see them and so they back into or over the person walking. Other accidents have occurred in driveways where children are sitting behind vehicles playing and the driver couldn’t see them from inside the vehicle. Adding a backup camera to your vehicle is a great idea with many benefits that could possibly even save lives. However, the quality of the camera does matter. A good quality camera will have a sharp, clear image so you know exactly what or who is behind you. If you can’t make out the image, it’s not really benefiting you as much as it should. 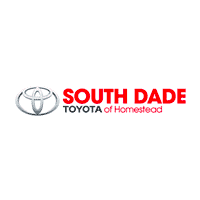 A good quality camera will also perform better at night when you need it most, so talk to your Miami Toyota dealer here at South Dade Toyota about the different options available. We can help you choose the best rear-facing camera for your new Toyota. The size of the screen is also important. You need a large screen that is easy to see or it would be difficult to make out the images behind you. Some of the better quality cameras will also have colored lines that help you judge just how close you are to an object or person making it even safer and easier to back up. What it all comes down to is that backup cameras not only make driving easier, they can help save lives and that makes them worth the added expense. However, it is wise to choose a good quality camera with a large screen so you can fully benefit from this feature.